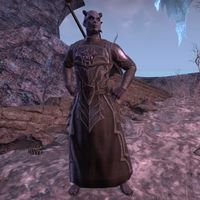 Aez the Collector is a powerful Dremora found on an island in the Village of the Lost. Aez the Collector is associated with two achievements. Village of the Lost Vanquisher 10 Defeat three of the champions in the Village of the Lost. Village of the Lost Conqueror 50 Defeat all of the champions in the Village of the Lost. This page was last modified on 1 February 2019, at 06:52.